Above photo from Outdoor Life utilized respectfully in accordance with Fair Use. 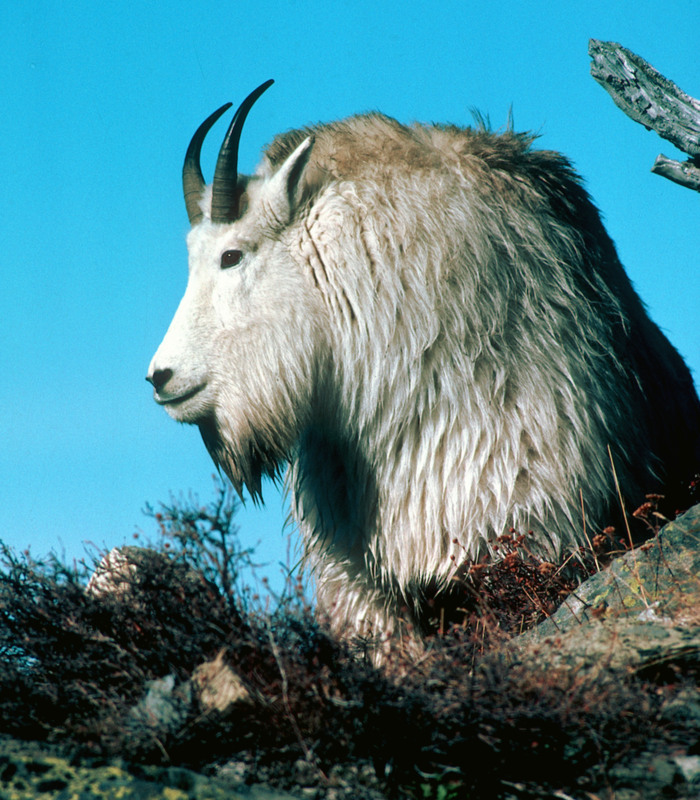 Despite its name, the mountain goat is actually a member of the antelope family. Known for their agility, mountain goats are most often seen scaling steep, rocky ledges. This extreme alpine environment provides them with adequate protection from predators. Strong muscular forequarters and pliable hooves with soft rubbery pads help them maintain traction on craggy rock surfaces and survive in harsh conditions. Above map from “Wild Sheep and Goats and their Relatives” by the IUCN/SSC Caprinae Specialist Group utilized respectfully in accordance with Fair Use. Increased temperatures in the high peaks where mountain goats live may have an effect on their habitat and diet. grasses, sedges, herbs, shrubs, ferns mosses and lichen. ~100,000 Mountain Goats in North America. 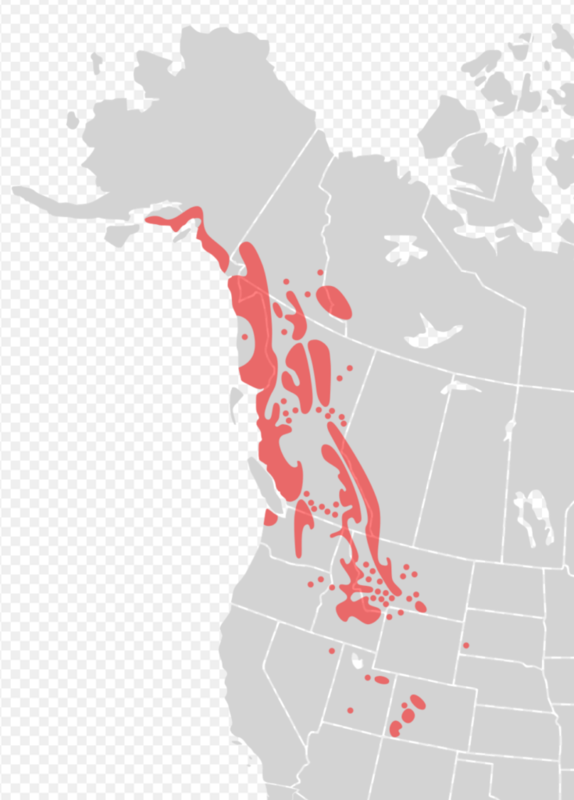 The Rocky Mountains and coastal ranges of northwestern North America, including southwestern Alaska. Mountain goats are active both during the day and night, but take time to rest under overhanging cliffs. They mostly live in herds and move around according to season. In the summer, smaller groups will travel to salt licks. Females, called nannies, spend most of the year in herds with their kids, while males either live alone or with 2 – 3 other males. Nannies can be protective of their territory and food, and so will fight other nannies in their herds. During mating season, males will fight each other using their horns for the right to mate with females. Mating Season: November and December. Litter size: Typically one kid; twins rarely. At birth, the kid weighs around 6 lbs and are able to move along the rocks with its mother within a day or so after. Height: Males up to 3.5 feet; females are smaller. Length: Males up to 5.5 feet; females are smaller. Weight: 100-300 pounds; females are lighter.